Wilson, a 1966 MBA (Marketing) graduate of Fairleigh Dickinson University, serves as the CEO of Sports in the USA, Inc. and its many subsidiaries, including Sports In The Garden State, Inc. He is an adjunct professor in the Fairleigh Dickinson University Masters of Sports Administration program with a concentration in the fields of sports marketing and promtions, media and communications as well as events planning. Wilson has an extensive background in sports. In high school in New Jersey, he was a football All-State Second Team selection as a fullback and linebacker by the Newark Star-Ledger and a Third Team choice by the Newark Evening News and he played in the Ivy League at the college level. He is a voting member of most post-season football awards at all four levels (NCAA I-A, I-AA, II and III) and is the longest serving member of the Gagliardi Trophy (NCAA III) selection committee. He is in his 15th year as President of the Metropolitan New York Football Writers Association while Sports In The USA, Inc. maintains the web sites for the Metropolitan New York Football Writers Association, New England Football Writers Association and Philadelphia Football Writers Association. He served as a marketing and media consultant to the Arena Football League and the New Jersey Red Dogs who played at the Izod Center in East Rutherford. Wilson was Vice President of the former Regional Football League, a professional entity with six franchises (Houston (TX), Jackson (MS), Mobile (AL), New Orleans (LA), Shreveport (LA) and Toledo (OH) that attracted crowds of 25,000 in the mid-1990s before the arrival of Vince McMahon's World Wrestling Federation-sponsored XFL that forced it to cease operation. He has served as a director of the National Football Foundation - Hall of Fame's Essex County Chapter and is the architect of the NCAA's first and only football championship doubleheader (ECAC Division III Southeast and Southwest) and initiated the NCAA Division III All Star Game that is now known as the Aztec Bowl and is run by the American Football Coaches Association.The firm provides marketing, media and public relations in addition to promoting a diversified group of scholastic football events including the Bergen County Coaches Association Football All Star Classic and the Robeson All Star Football Classic. Sports In The USA, Inc. is a major provider of consulting, marketing, media and play-by-play web-casting for all levels of soccer, including professional, college and high school competitions. Wilson has served as the marketing and events consultant for the New Jersey Ironmen of the Major Indoor Soccer League (MISL) that played in The Prudential Center in Newark. He is Vice President and CEO of the Newark Ironbound Express SC, a United Soccer League Premier Development League franchise that utilizes Lubetkin Field on the campus of NJIT. He created and promoted the NJ Ironmen Senior Boys and Girls Soccer All Star Games plus collegiate all star contests and serves as Executive Director of usacollegesoccer.com. In basketball, Wilson initiated the financial process that brought the Nets to New Jersey and served as General Chairman of the Official Welcome of the NBA franchise to New Jersey. The event held March 15, 1978, was the first-time a Nets game was televised live in New Jersey with Don Criqui doing the play-by-play. As the only three-term President of the West Essex Chamber of Commerce, in 1976 he created the first-ever corporate-sponsored scholastic tournament in the nation, a four-team scholastic basketball tournament that still includes boys and girls brackets at the varsity, junior varsity and freshmen levels. In 1988, Sports In The Garden State, Inc. produced college basketball television games (Princeton, Rutgers and Seton Hall) as well as United Basketball League games with Walt Frazier and Nancy Lieberman serving in the broadcast booth. Wilson has written for national sports publications and served as Sports Media Director at the university, conference and professional levels. He is a past vice president of the New Jersey College Baseball Association and is a member of the Metropolitan Basketball Writers Association, New Jersey Sports Writers Association and U.S. Basketball Writers Association. 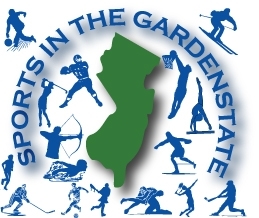 Sports In The Garden State, Inc. has been the sports wire service for NJ Sports, Bergen County's acclaimed monthly print newspaper, since its inception five years ago. Heat once was regarded as the promoter of Eastern Conference Finals, but afterwards, successive three losings made them suffered much abuse. Originally, mosnike nfl jerseys t of ESPN experts have supported them to beat Celtics, but with the losing of the fifth game, they have changed their ideas. The famous ex-player Johnson have snfl jerseys wholesaleaid: " I do not see the excellent performance and the unity, while Celtics always encourages each other. And Miami has not perseverance to win the game and theynfl jerseys can not perform the high-standard winning." Even, Smith said: " the situation about the health of Celtics is more better, when I known they are in health, whnfl jerseys wholesale nikeich should be regarded as the hot candidate for champion. Now, most of them have thought that Celtics will beat Heat at the next game and enter into the Finalcheap nfl jerseyss.